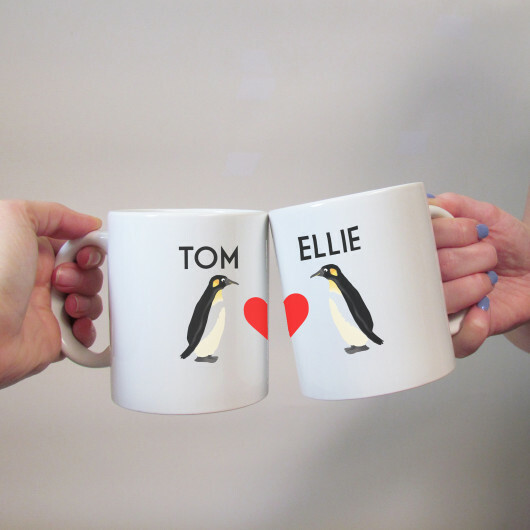 Personalised mug set featuring a penguin heart design. A mug set for a perfect couple especially if they like penguins. The mugs feature a penguin heart design and the addition of a name to each mug. The mugs then fit together to show the full heart design.